This investment fund, operating as a fund-of-funds, seeks to achieve for its Participants capital appreciation and income derived from a diversified portfolio of foreign currency-denominated fixed income collective investment schemes. The Fund aims to provide returns over the return of the JP Morgan Global Aggregate Bond Index. It is suitable for investors with a moderately aggressive risk profile. This Fund is available under the Regular Subscription Plan. Click here to know more about the RSP. 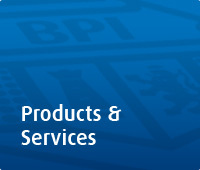 *Previously named as the "BPI International Fund Plus." It was approved for conversion to a fund-of-funds structure by the BSP last December 27, 2013.